Around three quarters of people who turn to adoption do so because of infertility and those working in this field need information, guidance and support to assist them in the process of adoption to support the adopters and to deal with any issues that may result from infertility. 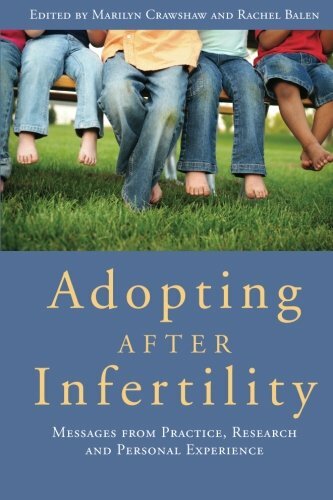 Adopting after Infertility is an accessible and informative interdisciplinary book that addresses the issues that professionals working with adopters and the adopters themselves face when going through the adoption process and the impact of infertility on their experiences. The book includes chapters on the effects of infertility, why people may choose adoption and the assessment and preparation process. It also covers what an Adoption Panel needs to know about the prospective parents, the experiences of those coming to adoption from minority communities or when living with health conditions and post-adoption support needs. Personal accounts by people who have experienced adopting after infertility are included throughout the book. This book will be essential reading for professionals and academics from a range of disciplines including social work, psychology, health, mental health and counselling. It will also be invaluable to students studying for post-qualifying awards.